Are you in the process of looking for the “right” planner for next year? Are you unsure which type is best for you? Or not even sure where to start? In this post we’ll go over a few planners I’m using and talk about pros and cons of each. 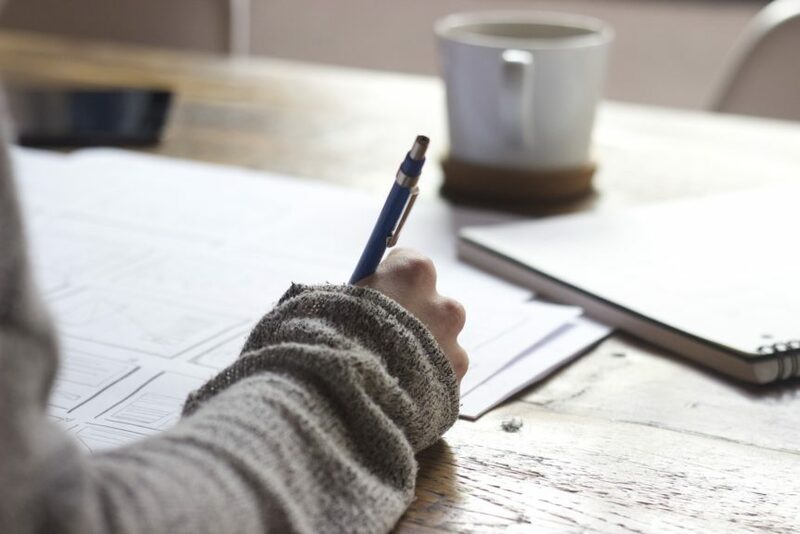 And, of course, we’ll talk with Asperger’s in mind, but this post really does apply to anyone researching planners whether living life with autism or not! Personally, I adore planning! Ever since my college days I’ve been a planner. Back in those days all it consisted of was a tiny lined spiral bound notebook that I divvied up into time slots. Purchasing a formal planner was never in my college budget, that’s for sure! A few years ago I got into the planner craze – kinda sorta. To be “all in” means collecting a cache of pens, stickers, washi tape, etc. For me, I pretty much just stuck with collecting colorful pens and beautifully black inks. Switching from DIY style planning to an “official” planner (is there such a thing?) was a lot of fun! For the past few years I’ve used the Passion Planner (vertical layout), but for 2019 I’m switching over to the Erin Condren LifePlanner™ and chose the horizontal weekly style. I’ve already done a YouTube video on why I switched, so this post will focus on the merits of each style, in general, in an effort to help you decide what style planner will work best for you, regardless the brand. We’re also going to touch on sensory tips and a few other Aspie things. Are you someone who loves to plan down to the minute? Or simply someone who needs to jot down everything, in order? The Passion Planner is perfect for this! Their weekly layout is vertical and runs in 30 minute intervals. I found this style very helpful when working to meet deadlines, scheduling appointments, and more. 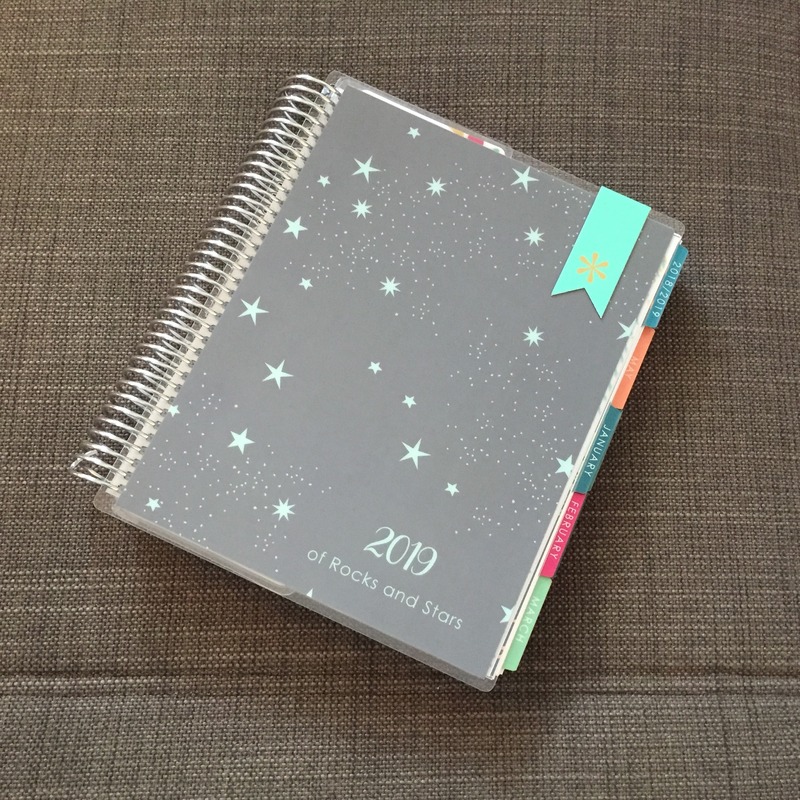 Yes, Erin Condren offers a similar style, but the Passion Planner has a few extra touches that help you develop that structure and reevaluate it at the end of each month, which can be perfect for Aspies looking to add more structure to life. Here’s what I mean. Each planner offers a basic monthly layout. For the Passion Planner, they have prompts to identify your goals for that month (both work and personal), as well as things that need doing. It’s a good way to get you to think of what your monthly priorities are and plan accordingly. The weekly layout echoes this format and helps you drill it all down even further. The image here is from my 2018 planner, so keep that in mind as the layout for 2019 may have changed a little. In fact, if you are like me and need to cap how much time you spend on a project, this style planner can help! Say, for example, you want to write for two hours. Simply block off a two hour period and hold yourself accountable to it. Timers work well for this. (I use them myself.) Let’s face it, transitioning from one thing to another can be a challenge for some of us! Have Asperger’s? Another benefit to this style planner is it can help with developing Executive Functioning skills. Set a time each week/day to fill out your planner to help you get in the habit of taking charge of your own schedule. This style can easily help you plan out what’s going to happen and in what order, too. NOTE TO PARENTAL UNITS: This style of planner is great if you are trying to teach your Aspie to get a better handle on their days, commitments, etc. Remember, “making” anyone use a planner is not going to be as effective as showing them the benefits of using it. Erin Condren offers several planner options. For this post, we’re only going to be talking about the horizontal layout for the LifePlanner™. The horizontal layout is great for anyone who wants a more freeform style of planning. The layout is a good fit for those who prefer journaling, which is one reason why I switched. This is also a great style for anyone looking to incorporate elements of a gratitude journal into their planner. NOTE TO PARENTAL UNITS: This style is well-suited to record positive events, milestones reached, and more. Yes, we need to mind the gaps, but it’s even better to identify and reinforce the positive, isn’t it? If you have Sensory Processing Disorder (SPD), this section is for you! I have it and it’s partly why it took so long for me to choose my planner for 2019. Here are a few things for you to consider when picking out your own planner. For many of us with SPD, color and design can be a deal maker or deal breaker! If the color and design of the cover is going to affect how much you use it, then consider putting that at the top of your planner wish list. For me, it’s a combo of color and style that really make a difference. I’m not one into florals and monograms, so was pleased to find not only a star-studded (literally) cover I could choose, but one I could edit! The colors and text you see here were ones I felt worked for me. To give you an example of what you can do at Erin Condren for this design, you can pick both the background color and the color of the stars! (The font will be the same color as the stars.) On top of this you get to personalize the cover for no extra charge! Again, I’m not into monograms or slapping my name all over the place, so I chose the year and a phrase that means something personal to me. Aside from the cover, consider the interior – the “meat” of the planner, too. The Passion Planner pages are all black and white (as you can see in the picture I posted earlier). This makes it easy to add color (think color coding) or leave it as is for those who like to keep things basic. Erin Condren offers two colorways. One is similarly basic (see her site for examples), and another is colorful. I chose the colorful layout as it works best for me. In other words, color and design are definitely something to keep in mind if you are highly visual. As for the covers and binding, these vary greatly! Sticking with our examples of the Passion Planner and Erin Condren LifePlanner™, these differences are easy to see. Planners can be bound like a book or spiral bound like a notebook. I prefer the feel of book bound styles, but went with the spiral bound for 2019. Honestly, I’m not in love with that feel, but there are benefits to this style that will make it worth it. Still, if grabbing your planner means cringing when you touch the binding, keep that in mind before you buy. For sensory seekers, spiral binding can be a plus, tbh. In other words, this is highly personal depending on your tactile preferences. The covers also vary wildly. Sticking (again) with our two examples, many of the Passion Planners have an embossed style front, meaning it isn’t smooth when you rub your hands over it. Again, some will love the texture, others won’t. Erin Condren covers for the spiral bound planners are laminated. These are super smooth with thin edges, providing an entirely different feel. This is another area worth considering for anyone who is super-duper tactile. For most it won’t even be a thought. The weight of the paper is a variable from brand to brand. Both planner brands in our examples use good quality paper that has a nice feel to it. Some papers will bleed through, but these claim not to (for most pens, at least). Overwhelmed? Don’t be! Once you identify what you need in a planner (that is, how you prefer to actually plan things out) then you can move on to choosing the visual and tactile elements. Considering all elements will provide you with a planner you will both love and use! Looking for the Coupon? Here ya go! If you are thinking of buying a planner from Erin Condren, I will say they are on the pricier side. If you use my referral link you’ll have the opportunity to sign up at Erin Condren and they’ll send you a coupon for $10 off your first order. Click HERE for the link! I am not sponsored by Erin Condren, but using my referral link does provide me with some store credit, which is a small way to help! Thank you!